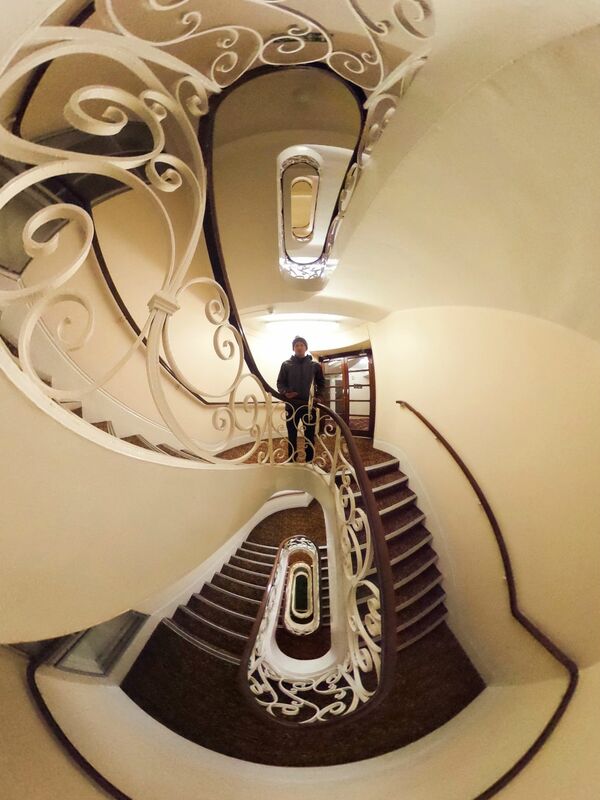 The Escher-esque image is proof of a very smart use of the 360 panorama; it was shot with a Ricoh Theta (a 360 degree camera!) and a selfie stick. What an optical illusion! This photo is marvelous.